Rottweiler breeder offering German Rottweiler puppies for sale with huge heads, outstanding temperament and excellent health history. Welcome to Choice K-9's where breeding Rottweilers is not our hobby but our Passion!! 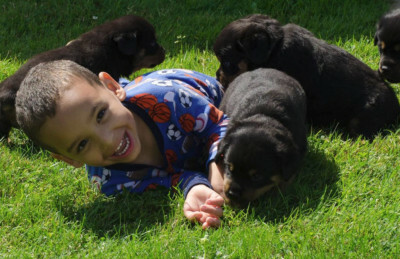 We have been providing quality Rottweilers to homes across the country for almost 20 years. It's no accident that our Rottweilers are powerful yet easy to train because they are so eager to please. Our Rottweiler puppies are bred for huge head and tree trunk bone with an emphasis on temperment and health history. All of our Rottweilers are Imported from Europe with the best bloodlines in the history of the breed. 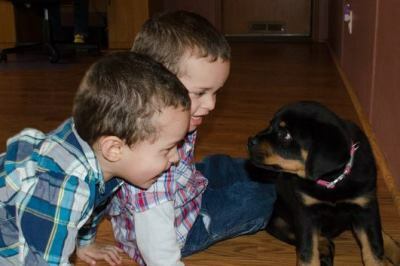 We undertsand that when you make a decision on getting a Rottweiler puppy you will be adding a new member to your family. That is why we temperment test and evaluate all of our Rottweiler puppies so that we can help you choose the puppy that will become your next family member. 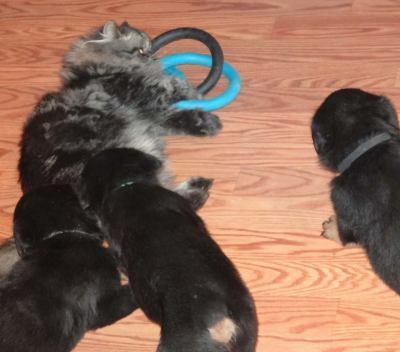 All of our Rottweiler puppies are handled from the moment they are born and played with constantly by our grandchildren and house cat so that you can expect a well socialized pre-spolied puppy!